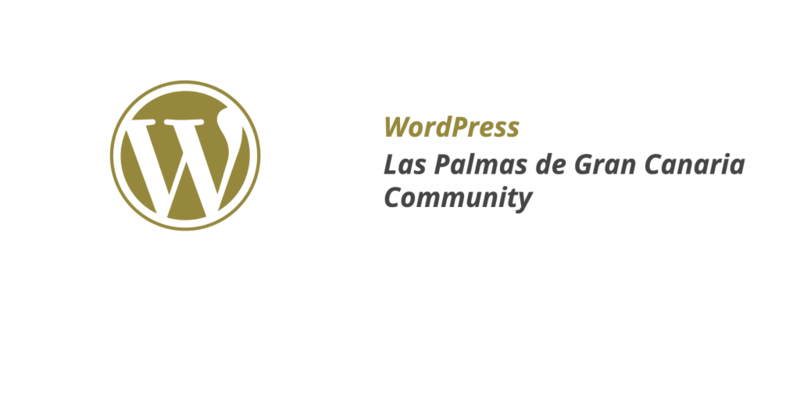 For our latest episode of our blog series on WordPress Communities, we are happy to interview José Ramón Padrón García from the WordPress Las Palmas de Gran Canaria community. You can find news on the Las Palmas de Gran Canaria WordPress community on their meetup page and on their website. Thanks again José for your time and support. Weglot is the proud sponsor of the upcoming WordCamp Las Palmas de Gran Canaria on February 8 – 9, 2019! de Gran Canaria WordPress community? We have a Meetup group with 665 members, and we have monthly meetups with more or less 25-50 attendees. Our figures are good and the group is growing every year. Our key members and organizers: Esther P. Verdú who is also one of the sponsors (Nemesys 2.0), Alicia and Paloma of Uppertechnology.com and me (sponsor too, SiteGround). The sponsors are Nemesys, SiteGround and SPEGC, the owners of the venue for the Meetup. We are very lucky because our venue is awesome, and there is a really good atmosphere around the Meetup group from the beginning, from November 2016 two years ago. I’m the Country Manager of SiteGround Spain, WordCamp Las Palmas GC main organizer and WCEU2019 organizer as the content-team leader. My contribution to the WordPress Community is organizing events mainly. My company, SiteGround, is also very active at the Community sponsoring, organizing and volunteering at many WordCamps all around the world. We are specialized in WordPress hosting. I’m using WordPress as an editor for the last 4 years. In the past, I was working at the support team of a hosting company and I was attending to WordPress users from 2005 up to 2007. Both times I didn’t choose to work with WordPress, it was just there, but I loved it! My life with the WordPress community started when I’ve joined SiteGround as an employee. The WordPress community culture is so present at our company, that I’ve started to collaborate as a translator and helping at events immediately. Once I’ve started to attend events, everything was really easy. Here in Spain, we have the second largest community in the world, and the mood and atmosphere is so good, that it was very easy to engage with it. Thanks to the WordPress community, I know lovely people that became my friends from the first moment we met. Today you’re playing a key role in the WordCamp organization, tell our readers more about the biggest challenges, the innovations and the new trends of the WordCamp Las Palmas de Gran Canaria. One of our wishes is to turn WordCampLasPalmas GC into an International WordCamp, with talks in English and Spanish, and international speakers, more than last year. We will set up a new third track, and we will held the Contributor day the day before, on Friday. In terms of content, we’d like to have talks for beginners but at the same time, spending more time with advanced WordPress users. So we’ll have more advanced technical talks than last year. We are organizing something special for the After Party at the historical center of Las Palmas also. We are feeling we are very lucky because of the high quality and number of talks we’ve received. Last year’s schedule was very good and we received very good feedback about it. This year we’ll go a step further. (Crossing my fingers). What will be the future of the Las Palmas de Gran Canaria WordPress community? For 2019 we will work in one main area: We’d like to be interconnected with other Meetups Groups like: Marketing, Entrepreneurs, PHP, DevOps, SEO, in order to attract more interesting talks and new member groups. Our main challenge is to give the Meetup interesting content, not everyone likes to talk in public and that point makes things a bit difficult. We are lucky and we have good talks, but it demands a lot of effort and time from the organizers.